Whew, the first six months of 2016 have flown by, haven’t they? It seems it was just yesterday we were creating our 2016 goals and refining our action plan for achieving them. After all, achieving the goal is the key, isn’t it? I don’t know many sales professionals or leaders who are measured – and rewarded – by setting the goal, do you? Nope, it’s the achievement, not the effort, we are measured by. 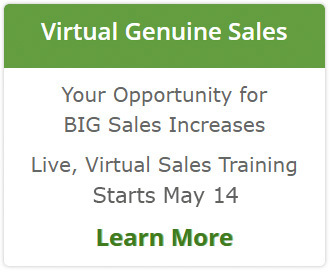 That’s why the time for a mid-year sales check-up is now. The check-up is not to punish, blame, or excuse; but to renew, revise, or replace. We call this a 4-R Goal Review and the process, discipline to complete, and transparency of the review will lead your team to 2016 goal achievement. Review. Look at the actions, metrics, and behaviors. Don’t use excuses, guilt, blame, or justification. Review and identify: is it on track, or not on track? Then for each goal: Renew, Revise, or Replace. Renew. If the goal is still relevant and the plan is viable, ask for renewed commitment, time-frame, and activities toward the goal. Renew the specific personal rewards that will be received when the goal is achieved. Revise. If the goal is no longer relevant or the plan needs to be adjusted, Revise. Ensure the goal is realistic today; it doesn’t matter what the intention was when it was originally identified. Replace. Remove and replace a goal if it is no longer viable. Replace it with a goal that is meaningful, timely, and specific. Celebrate goals achieved and progress toward the rest. Commit to the support or resources needed to achieve the updated goals. Set the expectations and trickle-down goals. Schedule a joint monthly 4-R Goal Review for the remainder of the year. Make the goals transparent. It’s easy to lose track of commitments and specific actions and even easier to fill our days with other things. Determine how to keep the main goals visible. 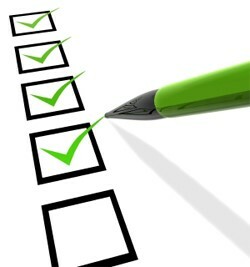 There you have it, a simple-to-follow and effective approach to your mid-year sales check-up. Schedule the time for this review with your team now and you’ll be celebrating come December 31st. p.s. This is a very effective approach to use and everyone on your team and yourself. Imagine the progress that can be made if everyone recalibrates every 30 days! It all starts with you. To help you with coaching your team to goals that can be achieved, we have a free eBook! 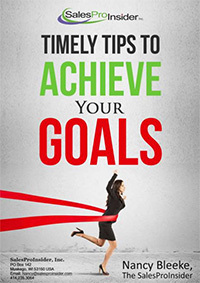 Timely Tips to Achieve Your Goals includes the plan for setting and achieving goals plus a handy tool to capture the specifics!